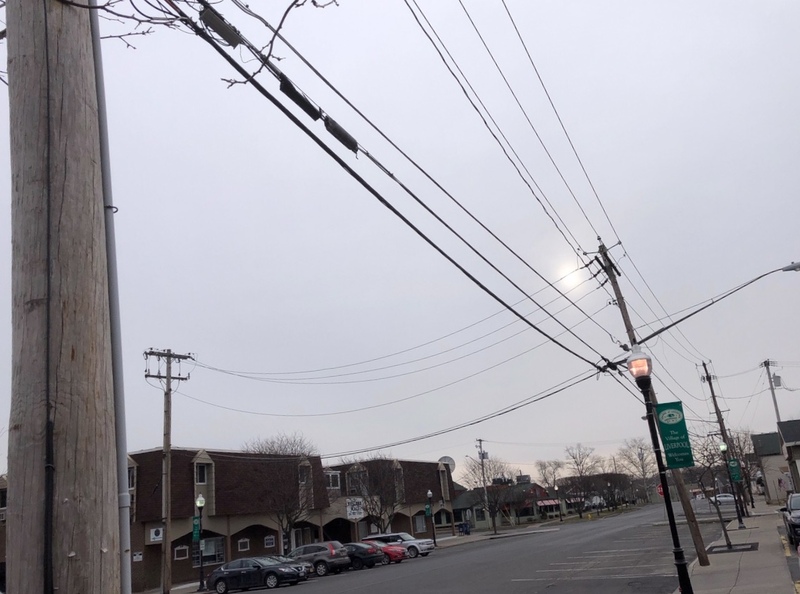 Shortly after 8 a.m. on a first-week-of-April Friday morning in the Village of Liverpool, the low sun and blanket of clouds gave me a winter’s shiver. The temperature indeed was in the 30s. Weather folks tell me we’ll get 60s on Sunday. We had sun AND warmth today. It’s like the world has finally forgotten winter here! I hope it’s that way here today, MBC! Was it?? I expected rain all day, but we actually managed some sunshine and good temps in between. Partly sunny and warm in comparison, MBC! The dog, she was walked!